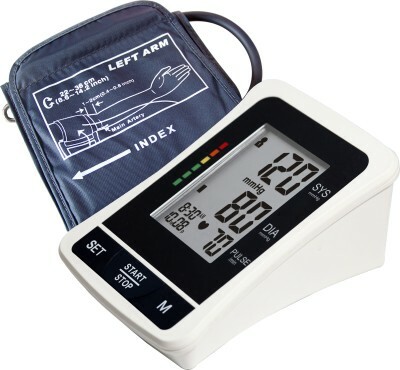 It has high-tech measurement technology to monitoring blood pressure from the arm ? all with the push of a button! The automatic memory function records the last 120 measurements in 2 groups for efficient tracking. The Last 3 Results Average feature automatically calculates average readings stored in memory. An Irregular Heart Beat detector automatically alerts user when heart rhythm is either 25? faster or slower than the average rhythm detected during the measuring process. To Recieve updates and possible rewards for MCP MCP BP 1305 please sign in. To Recieve updates and possible rewards for BP Monitor please sign in.